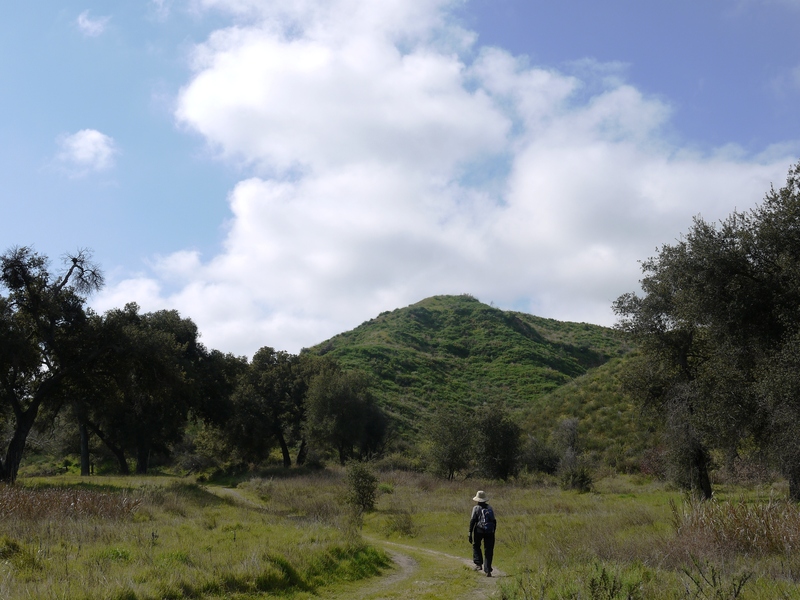 I stumbled across this Open Access Day event in Limestone Canyon on Brian and Ashley’s hiking blog last week and I thought this would be something different and interesting to explore. 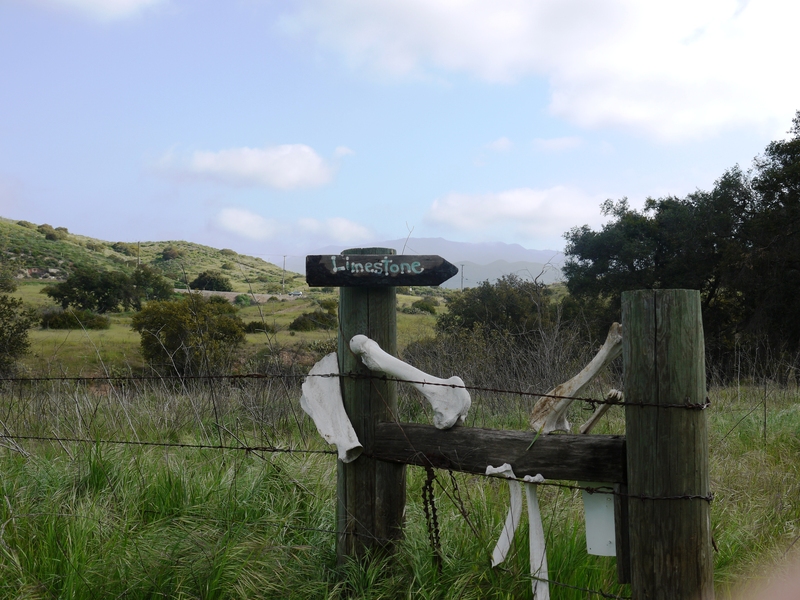 Limestone Canyon is in Orange County near the suburbs of Irvine. It is open once a month to hikers, mountain bikers, equestrians, artists, bird watchers, in essence, to anyone. Registration is required. 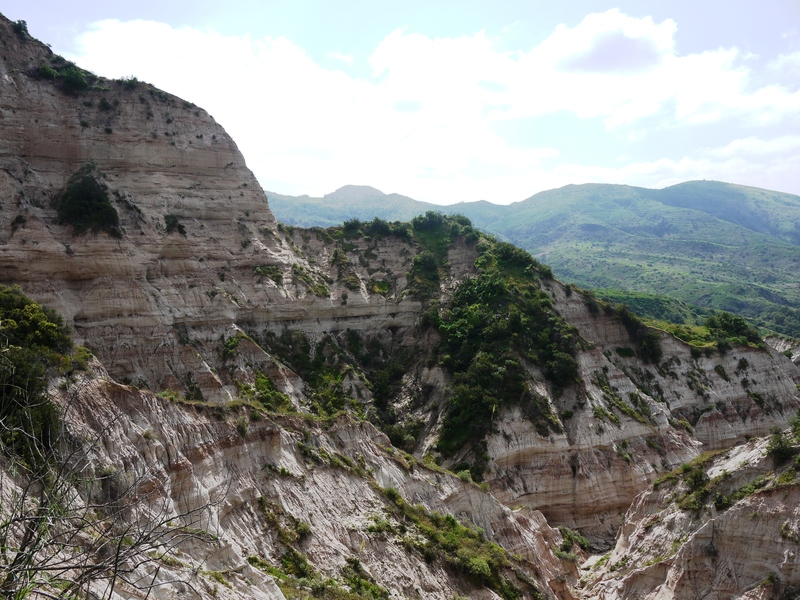 I had read that Limestone Canyon is like a mini Grand Canyon. So on Saturday my mom and I left San Diego around 7:30am and arrived to the Augustine Staging Area around 8:30am. A docent at the entrance to the parking lot directed cars and notified people where to sign in. Near the parking lot were tables with sign-in sheets, brochures about the park, trail maps, and bottled water. When you sign in, they give you a badge to wear and you return it once you leave the park. After using the restrooms and getting our stuff together, my mom and I hit the trail around 8:45am. It was still a bit cloudy, but I knew the sun would eventually come out. You start out on the Limestone Canyon Trail, which is a graveled trail and relatively flat. I loved the greenery around us. Eventually, you will come upon the sinks on your left hand side with a viewing area. It’s an interesting canyon, but it does not take your breath away like the Grand Canyon. We paused for a few minutes and then continued on. I wanted to make a loop around the park so we headed towards the Loma Ridge Trail. We took a side trail, the Box Springs Trail which is a single track trail. We were going up when mountain bikers were coming down. Beware and always give them the right of way. Interestingly, they were very polite to us. 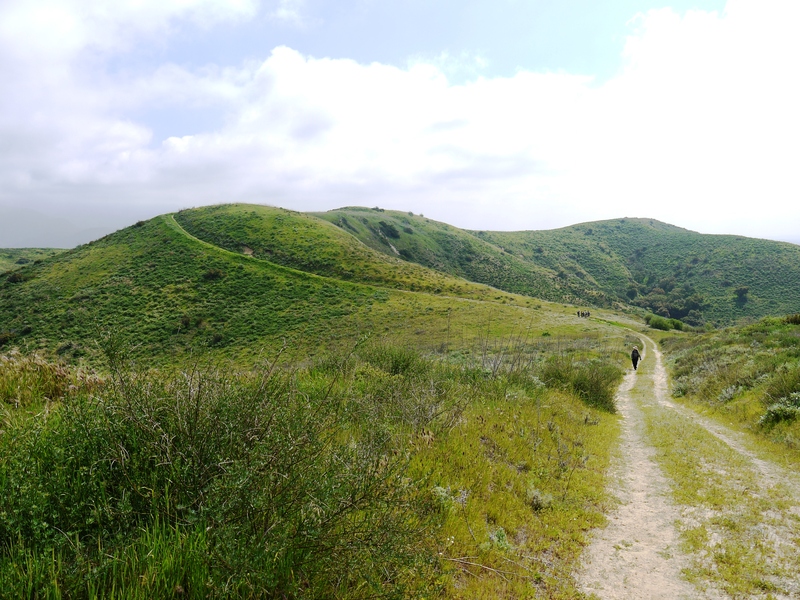 The Loma Ridge Trail has great views of the green hills and valleys. Oh, and sadly enough you’ll get a view of the landfill. We reached the Hicks Haul Road, which is paved, and made our way back down to the parking lot. I was hoping for a +11 mile hike, but my GPS gave me a reading of 9.54 miles with an elevation gain of 1,075 ft. Anyway, it was something different to explore. If you like mountain biking, then I would highly recommend this place.